The recent engine technology developed by Honda, which first debuted in the new version of the Accord of present generation and now, the same technology consisting of the four-cylinder powertrain will be used in the new Honda CR-V. The updated variant of the compact crossover gets many technical and design features both outside and inside of the car. 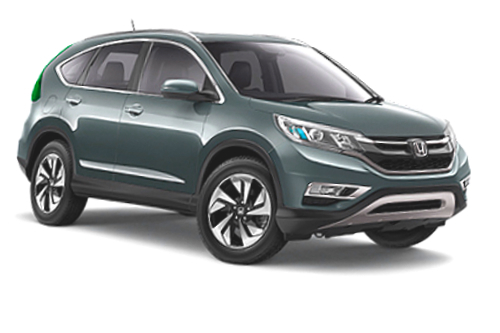 The Honda CR-V is presented as a car of 2015 model year. The vehicle gets updates in its middle cycle. The first main change was the 2.4-liter four-cylinder engine, which is able to produce the output of 185 horsepower and the torque of 163 lb-ft. The fuel consumption surely depends on driving conditions –26 mpg in a city, 33 mpg on highways. That powertrain is good for the city driving. The engine works with the five-speed automatic gearbox and the novelty gets the all-wheel-drive. In addition, the new model is updated with a suspension with new dampers, springs and stiffening the trailing arms. The updated CR-V came on the auto market at the end of last year and was introduced as a car of 2015 model year. The novelty will be probably meet the competition with Mazda CX-5, Kia Sportage and Ford Escape.